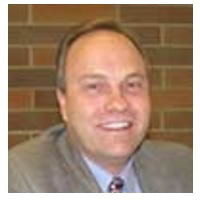 Finding the best credit card for students is the easy part, seeing as WalletHub’s editors have done the work for you. We compared hundreds of credit cards for college students (some of which come from WalletHub’s partners), based on their rates, fees, rewards and other perks. And a number of offers stood out above the rest. The best credit cards for students are also the best starter credit cards because banks and credit unions tend to give students better deals than their experience would ordinarily merit. You can chalk that up to the fact that students have high earning potential, plus years of financial needs to come, which could prove quite profitable for a financial institution that gets in early. And your job is to take advantage of this opportunity. That means finding the best student credit card for your needs and making on-time payments every month. You can learn more about the best credit cards for college students below. We’ll also explain how to choose between the best student rewards credit cards and the student cards with the lowest rates. Finally, make sure to browse our list of money-saving pointers, which should come in handy before graduation and beyond. show less The best credit cards for students can help you build credit and save big time. 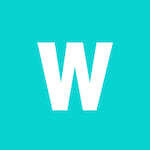 They offer generous rewards, 0% intro rates and low fees. And they aren’t too hard to get. You can have absolutely no credit history and still be approved for the very best credit card for students. You just need an active college or university email address and enough income or assets for the monthly minimum payments (usually around $15 for students). The best credit cards for students are also the best starter credit cards … show more because banks and credit unions tend to give students better deals than their experience would ordinarily merit. You can chalk that up to the fact that students have high earning potential, plus years of financial needs to come, which could prove quite profitable for a financial institution that gets in early. And your job is to take advantage of this opportunity. That means finding the best student credit card for your needs and making on-time payments every month. Capital One® Journey® is the best student credit card for cash back because it gives 1.25% cash back on all purchases when you pay your monthly bill on time (otherwise, 1% back). That's actually more than you’d get with the average cash back credit card. Plus, there’s no annual fee. 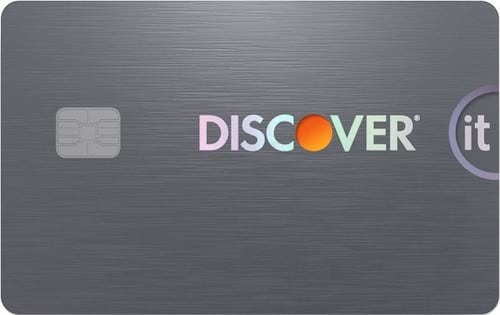 The Discover it Student chrome credit card is the best student credit card for bonus rewards because it offers 2% cash back on your first $1,000 in restaurant and gas purchases each quarter. You also get 1% cash back on all other purchases. Plus, Discover doubles your first year earnings, you get a $20 statement credit each year for good grades, and there’s no annual fee. 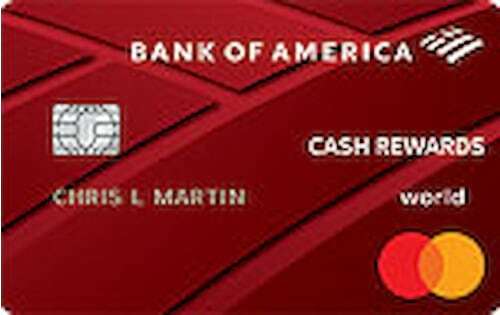 Bank of America® Cash Rewards for Students is the best student credit card for everyday rewards because it gives 3% cash back in a spending category of your choice, plus 2% back at grocery stores and wholesale clubs, up to a total of $2,500 spent in those categories each quarter. Your options for the 3% cash back category are: dining, drug stores, gas, home improvement / furnishings, online shopping, or travel. You’ll earn 1% cash back on everything else. There’s also a $200 bonus for spending $1,000 in the first 90 days your account is open (if you apply online). There is no annual fee. 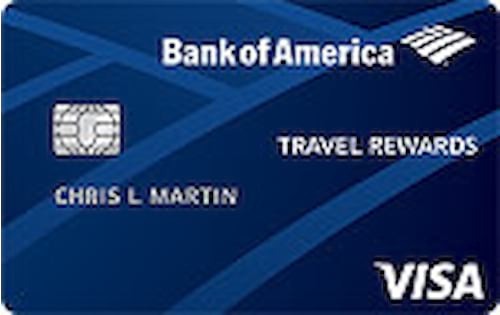 The Bank of America® Travel Rewards card for Students is the best student credit card for travel rewards because you can get 25,000 bonus points, redeemable for $250 in travel-related expenses, if you apply online and spend $1,000+ during the first 90 days your account is open. This card’s ongoing rewards aren’t too shabby, either. You’ll get 3 points for every $1 in purchases made through Bank of America’s Travel Center, plus 1.5 points per $1 spent on everything else. There is no annual fee. The Citi Rewards+℠ Student Card offers several types of bonus points, starting with 2,500 points (redeemable for a $25 gift card) for spending $500 within three months of opening an account. 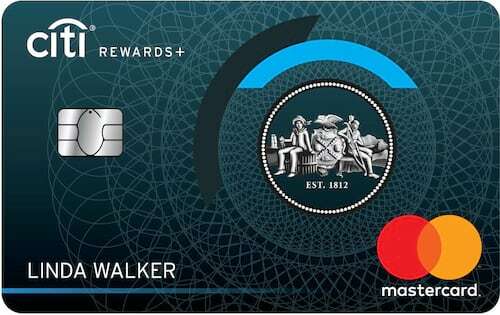 The Citi student card also gives 2 points per $1 for the first $6,000 that you spend at supermarkets and gas stations each year, along with 1 point per $1 on all other purchases. In addition, the Citi Rewards+℠ Student Card gives back 10% of the points you redeem, up to 100,000 points redeemed per year. And it rounds the rewards that you earn on each purchase up to the nearest 10. The card has a $0 annual fee. The BankAmericard® Credit Card for Students is the best 0% APR student credit card, and one of the best 0% credit cards on the market overall, because it offers 0% intro APRs for 15 months on new purchases and balances transferred within 60 days of account opening. Plus, there’s no annual fee. And if you transfer a balance during the first 60 days, there’s no transfer fee, either. So if you’ve got some big-ticket plans coming up or some credit card debt to get rid of, this could be the card for you. Just make sure to use a credit card calculator to confirm that you’ll be able to repay your full balance by the time regular rates take effect. You could lose a lot of your savings if you carry a balance past the 15-month mark. 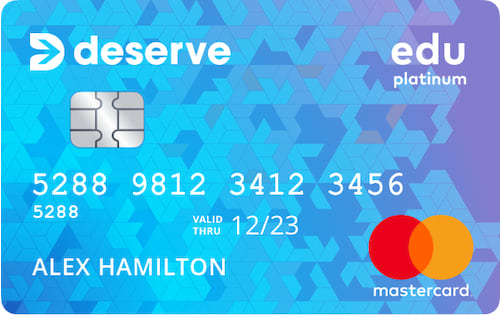 The Deserve® Edu Mastercard is the best credit card for international students studying in the U.S. because you don’t need a Social Security number to get it. Plus, Deserve Edu has a $0 annual fee and no foreign transaction fee. It also offers unlimited 1% cash back on all purchases. And you get $59-worth of Amazon Prime Student. Capital One® Secured is the best partially secured credit card for college students because it has a $0 annual fee and could give you a spending limit that’s higher than the amount of your refundable security deposit. That’s why it’s known as a “partially secured” card. All cardholders start with a $200 spending limit. But you could be asked to put down $49, $99 or $200, depending on your overall creditworthiness. In general, secured credit cards are among the top tools for building and rebuilding credit. They offer high approval odds and charge low fees. And the Capital One® Secured Mastercard is one of the very best. 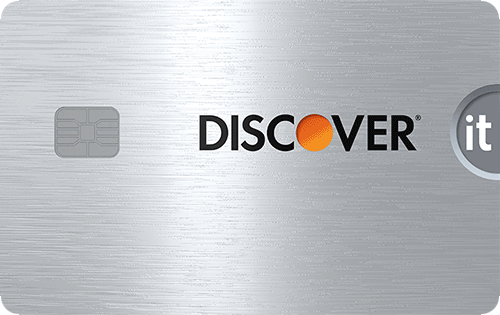 Discover it® Secured is the best fully secured credit card for college students because it offers very high approval odds and excellent rewards. It offers 2% cash back at gas stations and restaurants (on $1,000 in combined purchases each quarter), plus 1% cash back on everything else. Discover doubles what you earn the first year, too. This secured card requires a minimum deposit of $200 and does not charge an annual fee. 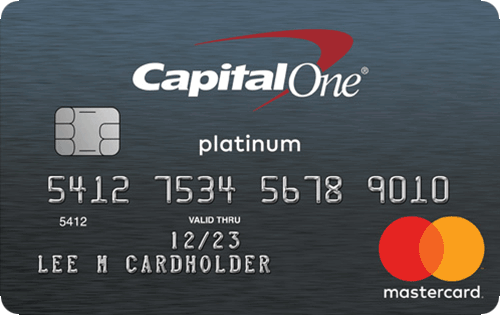 Capital One® Platinum is the best starter credit card for recent college grads because it doesn’t charge an annual fee and requires neither a security deposit nor established credit history for approval. But if you have any red marks on your credit file, you should probably opt for a secured card instead. 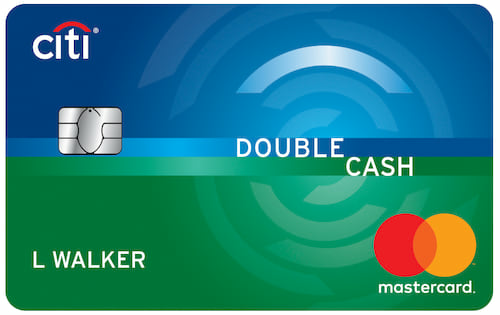 Citi® Double Cash is the best credit card for recent college graduates with good credit because it gives people who pay in full every month a great overall earning rate: 1% cash back across all purchases and another 1% cash back when you pay your monthly bill. It does not charge an annual fee. So if you’ve been building your credit since freshman year and now have a credit score above 700, plus a job lined up for after graduation, Citi® Double Cash is certainly worth considering. Before deciding on a credit card, you may want to take another look at the best offers with these tips in mind. For your convenience, we'll recap WalletHub's picks below. Identifying the best student credit card is only half the battle. You also need to use it responsibly, avoid common money-management mistakes, and build financial literacy for success after graduation. Consider Credit Building Your Top Priority – A good credit score will save you thousands of dollars per year on loans, lines of credit and insurance premiums. It may even help you land your dream job or lease a new car. And two of the keys to building a good credit score are making on-time payments and establishing a long track record of responsible borrowing. Don’t Make Purchases If You Don’t Trust Yourself – Credit cards report information to the major credit bureaus every month even when you don’t make any purchases. And while you may build credit faster by making purchases and paying them off by the end of the month, overspending and missing payments is counterproductive. So if you don’t trust yourself to spend responsibly with plastic, give your card to your parents for safekeeping. You could even cut it up. Just make sure to save your account number in case you need to call customer service. Make a Budget – If you combine credit card use with a well-defined budget while in college, you’ll be well ahead of the curve. Only two in five consumers have a budget, according to the National Foundation for Credit Counseling, and that’s one of the main reasons why credit card debt levels are so high. To learn how to take this important step, check out WalletHub’s step-by-step guide on how to make a great budget. Take Advantage of Campus Resources – Most colleges and universities offer financial literacy resources of some sort. 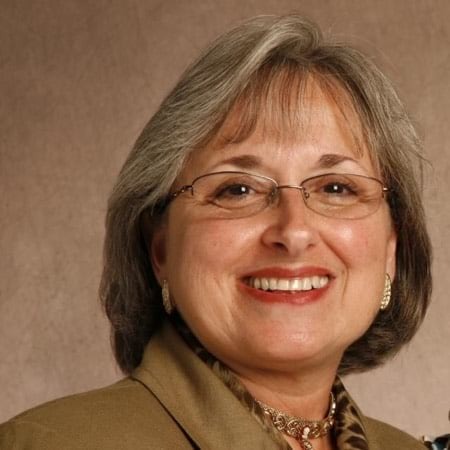 For example, there might be a personal finance class you can take, a money-management help center you can visit or online educational materials to peruse. Find out and soak up as much information as you can, especially if it will fulfill a curriculum requirement. Because unlike much of what you’ll learn in college, financial skills translate directly to everyday life. Approach Student Loans with Caution – Taking out a bunch of student loans might not seem like a big deal now, considering how long you’ll have to pay them off. But too few students truly consider how big of a burden they can wind up being. Student debt increases the pressure to find a job and can delay major life events such as buying a home, getting married or starting a family. No one wants to be paying off education debt into their 40s, which is all too common these days. So try to supplement your tuition money with scholarships, grants and work experience. This will also give your resume a boost. Improve Your Financial Literacy – Understanding how to manage money is an invaluable life skill. And you probably won’t learn much about in school. So you’ll have to take things into your own hands. To get a sense of your current knowledge level and the areas where you can improve the most, get your WalletLiteracy Score. 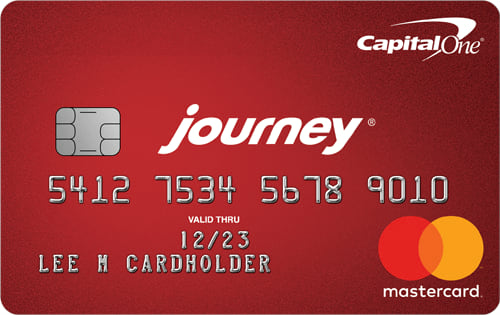 The best credit card for college students is the Journey® Student Rewards from Capital One® because it has a $0 annual fee, gives 1% cash back on all purchases, and encourages responsible behavior with a 0.25% bonus for paying your bill by the due date each month. The Capital One Journey Card also has a $0 foreign transaction. So it’s a great all-around offer, no matter where your studies take you. But there are plenty of other contenders, some of which may turn out to be better for you than Capital One Journey, depending on your exact needs. For example, the best credit card for college students who want to travel is the Bank of America® Travel Rewards Credit Card for Students, which offers an initial bonus of 25,000 points and much more. And the best student credit card for low interest rates is the BankAmericard® Credit Card for Students, which gives 0% for 15 months on purchases and balance transfers, with a $0 annual fee and a $0 balance transfer fee. But even though WalletHub’s editors have done the work to highlight the best student credit cards on the market, you still have to decide which offer is right for your particular needs. And these rules of thumb will help you pinpoint that plastic. Rule Out Cards with Annual Fees. Students should always limit their search to cards that don't charge annual fees. A student’s top priority for using a credit card is to build credit, after all, and most college students have limited budgets. So the best student credit cards are therefore those that are basically free to maintain. Focus on Rewards if You Plan to Pay in Full. Paying your bill in full every month is the best approach because it will save you from expensive interest charges and help you avoid getting into the bad habit of spending above your means. And since interest rates don’t matter when you pay in full, you can concentrate on getting the most lucrative rewards for your spending habits. Find a 0% Rate for Big-Ticket Purchases. There are a handful of 0% APR student credit cards available, any of which could save you a boatload if you plan things right. That means applying a few weeks before your desired purchase date and repaying your balance before regular rates take effect. WalletHub’s Credit Card Payoff Calculator can help with that. Transfer a Balance If You’re in Credit Card Debt. 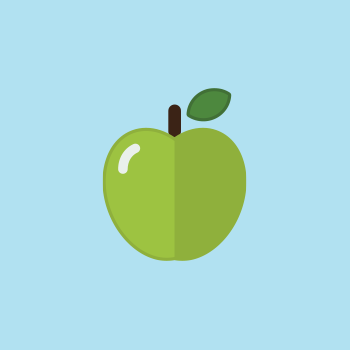 A few student credit cards offer 0% intro rates on balance transfers. With that being said, you’ll need to consider more than just the length of the 0% term, including each card’s balance-transfer fee and regular APR. You can crunch the numbers with WalletHub’s Balance Transfer Calculator to see which offer would save you the most money. Get a Secured Card If You’re Rejected. Secured cards are the easiest type of credit card to get approved for. The reason is this: They require a refundable security deposit that serves as the account’s spending limit and reduces risk from both the student’s and issuer’s perspective. They also are indistinguishable from unsecured credit cards on your credit reports, which means you can build credit and practice responsible habits without running the risk of exacerbating your situation. So, if you have damaged credit, opening a secured card and rebuilding your credit standing is a must. Attending college is a big achievement and an exciting time in one’s life. It can also be scary, especially when you consider that most students aren't taught much about personal finance. In order to learn more about college students’ preparedness and plans for increased financial independence, WalletHub conducted a nationally representative survey. We asked about everything from who students' financial role models are to whether credit card debt or student loan debt scares them more. You can find the complete results in the infographic below. Since student credit cards are the subject, we’re taking you back to school for some extra-credit advice on the best ways for college students to use plastic and the biggest mistakes to avoid. We posed the following questions to a panel of experts, and you can check out their bios and responses below. Should credit cards be easier or harder for college students to get (or is it just right)? 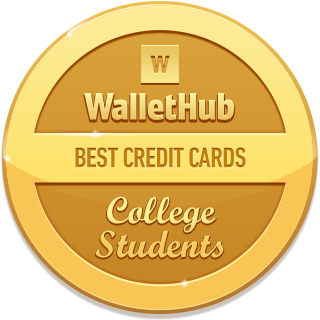 To identify the best credit cards for college students, WalletHub’s editors compare 1,000+ credit card offers based on their approval requirements, rewards, rates and fees. We focus on student-branded credit cards with $0 annual fees because they tend to be the best deals and are relatively easy for college students with limited-to-no credit history to get. Keeping costs down and establishing responsible habits are key for college students. So we generally recommend getting a credit card with great rewards and paying the bill in full every month. However, our best-card picks typically include options with low interest rates, too. Although credit card companies typically offer the best limited-credit deals to students, WalletHub’s editors also consider general-purpose credit cards for which some students may be eligible. 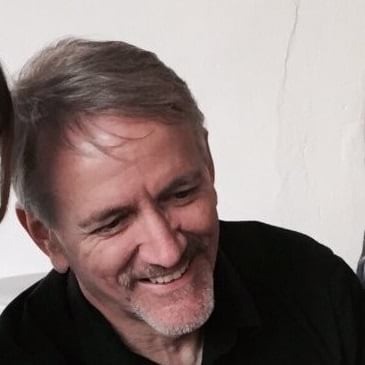 For example, students who have already made mistakes with credit or are concerned about overspending may want to consider a secured credit card. And students who already have good credit as a result of being an authorized user on a parent’s account may want a higher-level card. How does a college student get a credit card? Typically, you must be at least 18 to apply for a credit card, and if you are under 21, you must provide proof of your independent income to get approved. If you are a student with a limited credit history, you can qualify for a student credit card. 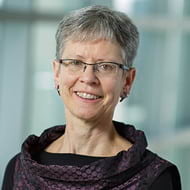 As the name suggests, student credit cards are almost always reserved for students, and most require applicants to provide their school information. Before submitting your application, it’s important to do your research regarding the terms and conditions of each offer, to find the card which best fits your needs. Your other option is to apply for a secured credit card. This type of credit card requires a deposit, which will act as collateral and double as your credit limit. Other than that, it works just like an unsecured one, and will help you build credit the same way. Best of luck! How can college students build credit? There are two ways to build credit as a college student. If you don't have a job, become an authorized user on a parent's account. If you have a job, definitely get your own credit card and start your own credit journey. Student credit cards are credit cards specifically designed to provide financial resources, rewards and even financial education for college students. A student credit card is the best way to build credit and prepare for the financial realities of life after graduation. Plus, credit card companies tend to give students better deals than their credit experience would ordinarily merit because students have relatively high earning potential and years of forthcoming financial needs. My daughter at Georgia Southern has a visa card from our credit union. It is really nerve racking to know that she now has the power to destroy her credit rating, but we taught her well. We shall see if the lessons took. 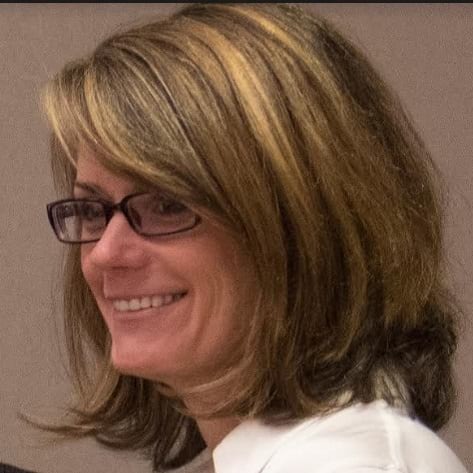 So far all has gone well, she has paid off the card every month and only uses it for necessary expenses and the occasional whimsy that she has already saved money for. Have the card really makes me feel at ease to know that if an emergency should happen she would be able to handle the immediate financial needs. 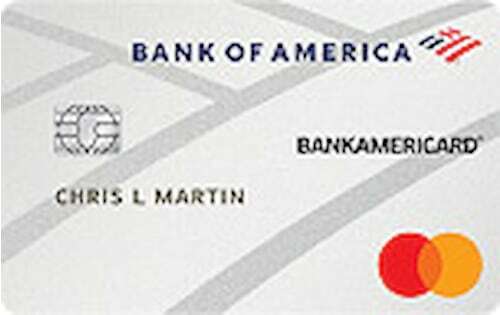 The BankAmericard Cash Rewards for Students Credit Card is the best student card out there. 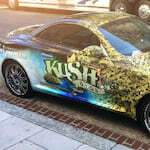 It has great cash rewards for purchases that all college students make in a weekly basis. 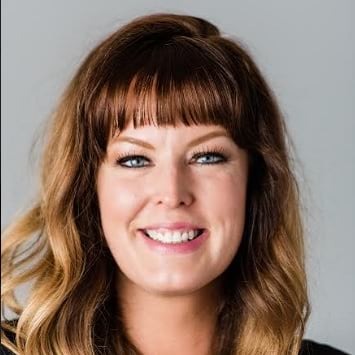 Also it has one of the best student loan options there are with very much flexibility and affordability making it good for a student taking multiple courses. My son who currently goes to college uses this card says that it is perfect for him. He uses it for all his gas station fill ups in which he gets 3% cash back as rewards. The other feature that I love is that the card has a budget which is good because I don't want my son to drop his credit score from loans. Our editors' recommendations for the Best Credit Cards for Students are a reflection of their own subjective opinions, and they should not be relied upon as the sole basis for choosing your financial product.